Date/Time - 26 Sep (Monday), 7.30 – 10.30 p.m. 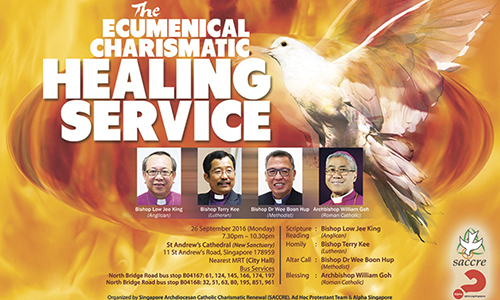 Description - Attend this ecumenical healing service with other Christians where Bishops from several denominations will lead in Scripture reading, delivering the homily and altar call, and giving the blessing. There will also be sharing of personal testimonies, and praise and worship. 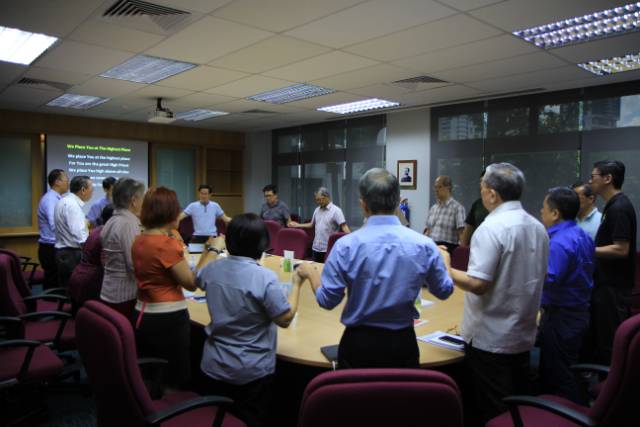 Jointly organised by Singapore Archdiocesan Catholic Charismatic Renewal (SACCRE), Ad Hoc Protestant Team and Alpha Singapore. Free admission. 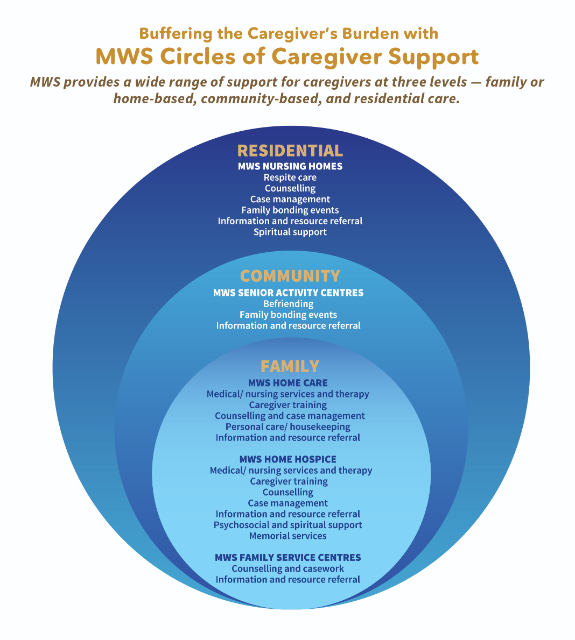 For more info, email info@saccre.org.